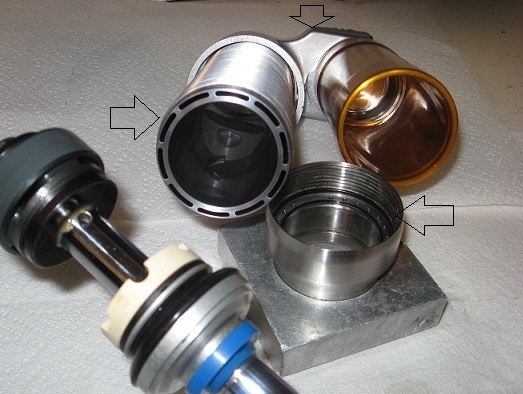 You can Revalve and Respring the stock WP to better suit your needs or replace some or all as shown below with options many people do. 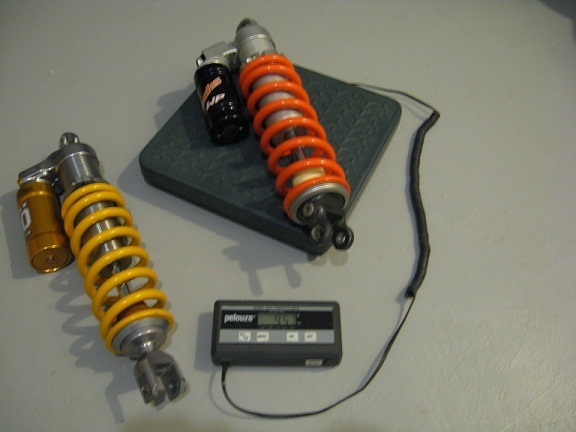 With a “No-Link” design you really want the shock to be working exceptionally well. 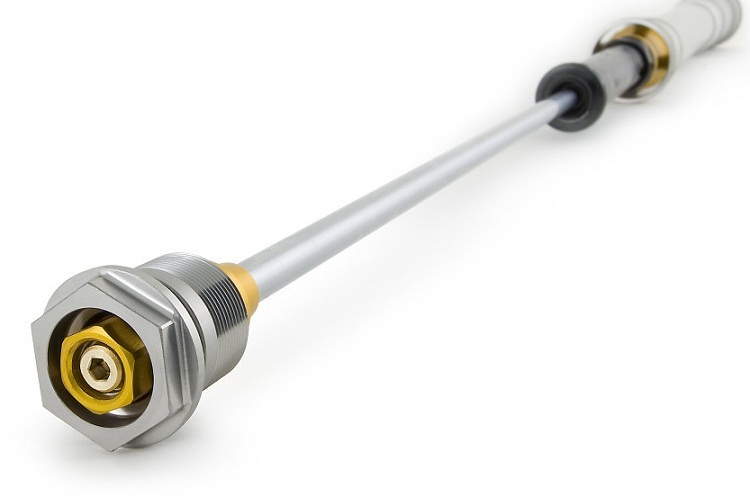 Then you need to ONLY have them Serviced on One of these below … (see videos condensed below)…. 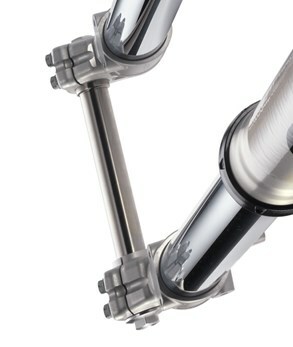 The ONLY way to professionally get 100% of the air from Shocks and Forks is to use these Machines. 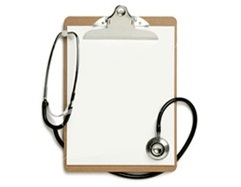 They have too many passages to try any other method. 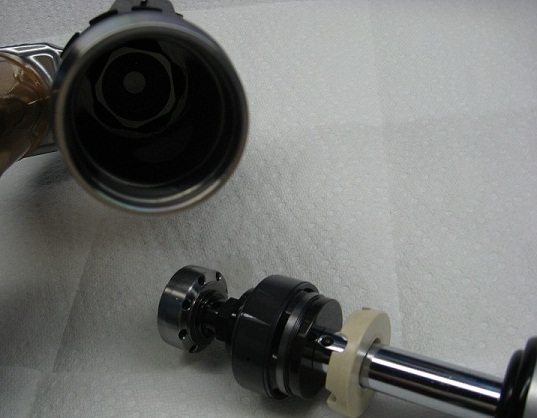 So ANY WP Shock Must be Factory Vac built to be correct at routine service intervals. 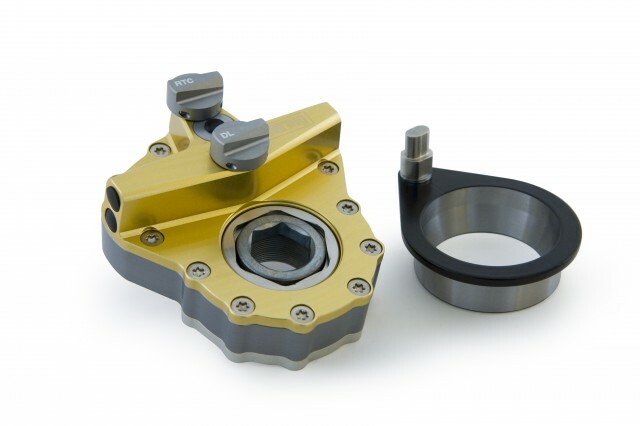 Ohlins 2016 guided Aluminum spring spanners Not plastic! like the WP. 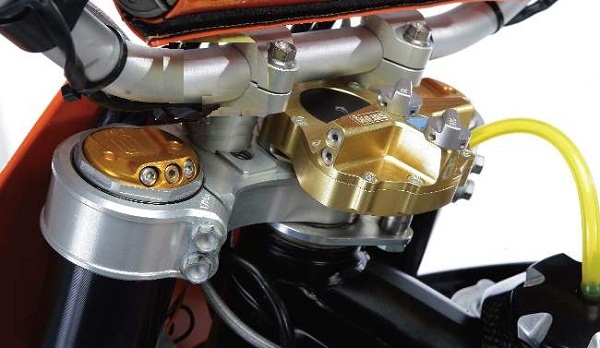 Independent TTx Ohlins HI/Lo Circuits and twin wall directional fluid flow design (see below…). 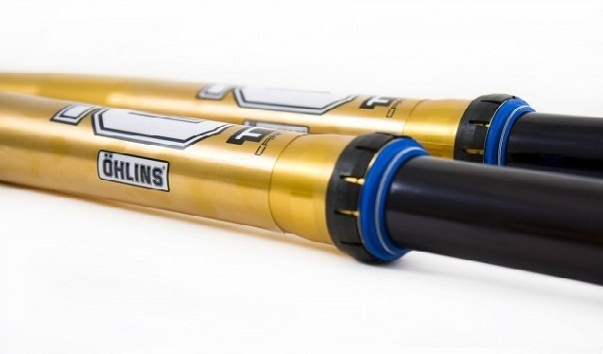 The Ohlins TTX Twin wall PDS shock about 1.5 lbs lighter than Stock WP PDS in this example, and see below about the unique design features that make them work like no other shock. 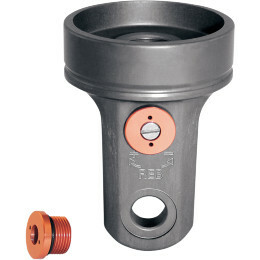 WP / PDS Rebound Adjuster Cap with improved sealing (helps eliminate seized rebound adjusters) common after a while exposed to the eliments. 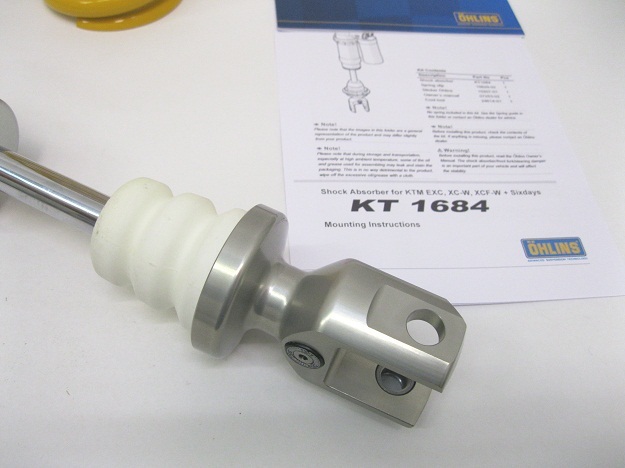 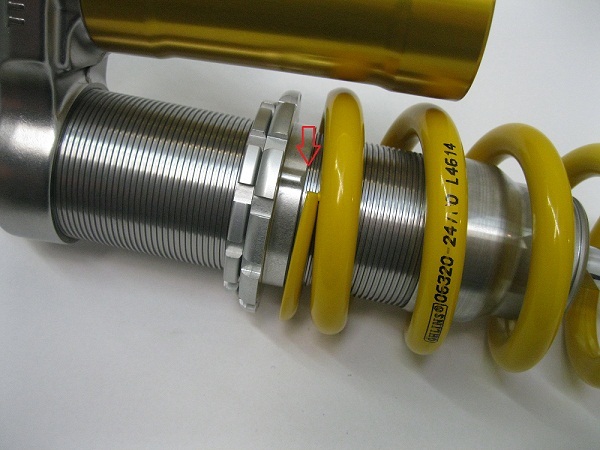 Ohlins 2016 KTM Shock bottom bracket. 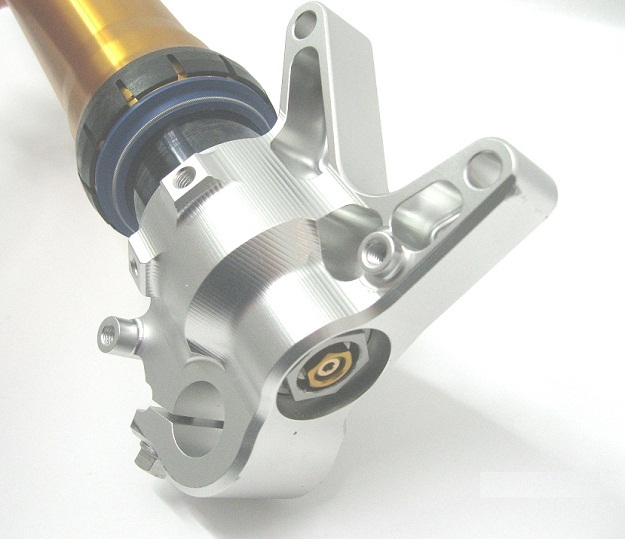 Arrows showing the Ohlins Twin wall TTX, directional fluid flow with the twin wall body, tapered end cone with matching passages, and top cylinder head passages where fluid passes through the double adjusters in a planned and metered direction. 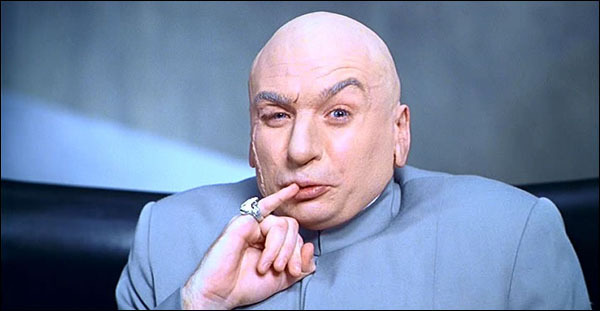 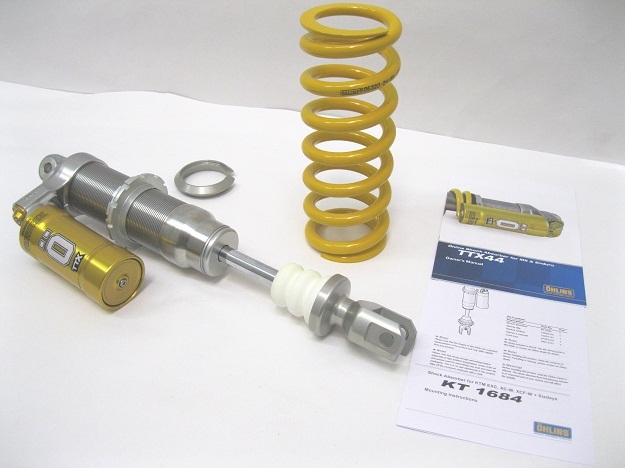 (See our TTx Shock page for more info). 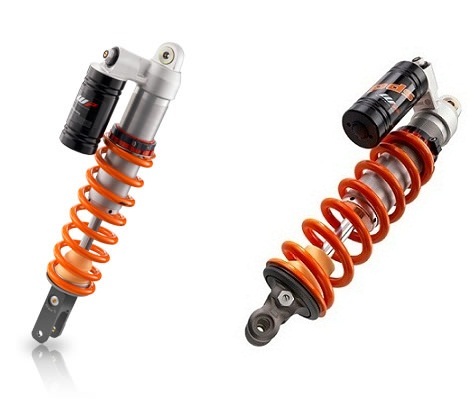 The Ohlins shock has a major improvement in ride quality by providing a much improved pressure balance within the shock as it goes back and forth and the fluid even lasts longer by this design. 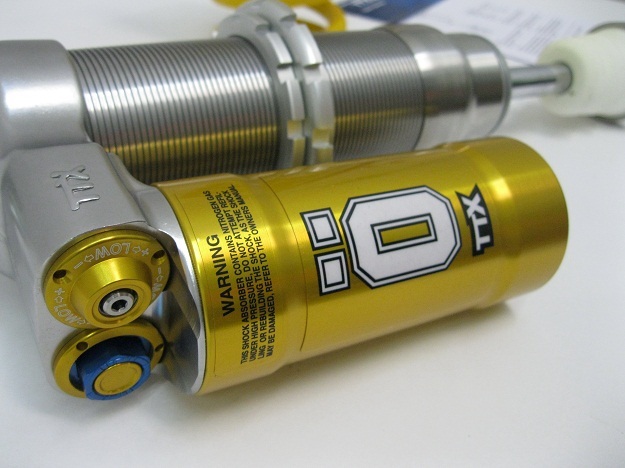 Many Ohlins designs have Dual Piston (Position and speed sensitive) Look closely into cylinder tube to show tapered end cup that position sensitive piston tapers into, the Twin wall TTx Design with tapered body end cone and matching cylinder head holes is very unique so the feel of Ohlins TTx PDS shocks is incredible over other brands. 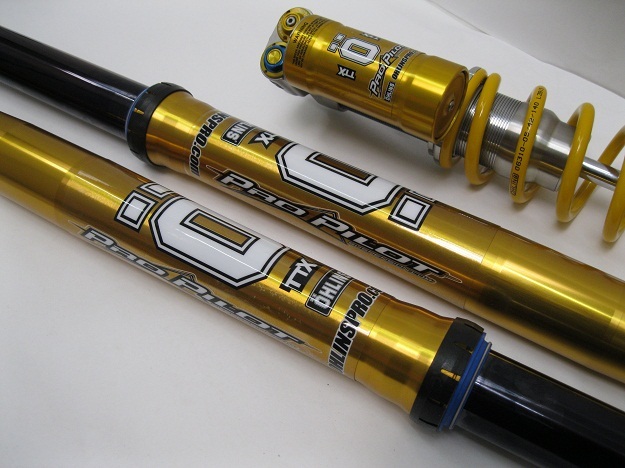 Above Left WP New 22m Fork Axle and new offset and Above Right Ohlins already has them. 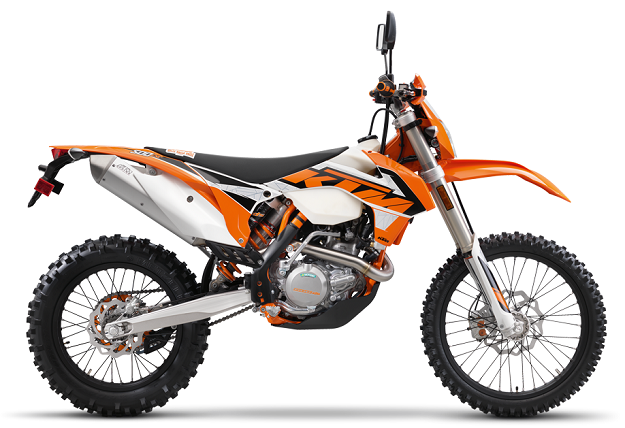 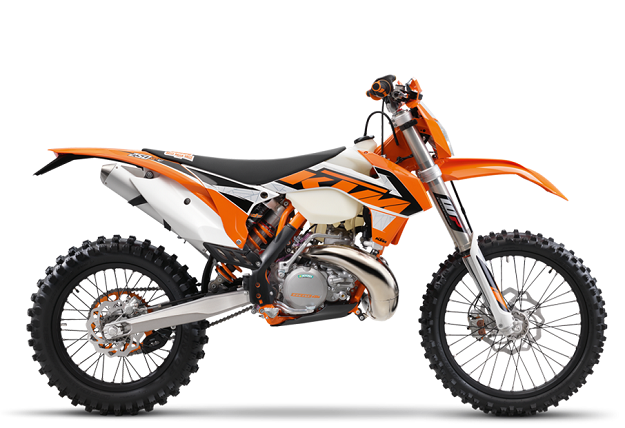 The motocross KTM bikes changed to the 22mm front axle and 2mm less offset a couple years ago but use the WP 4CS Fork. 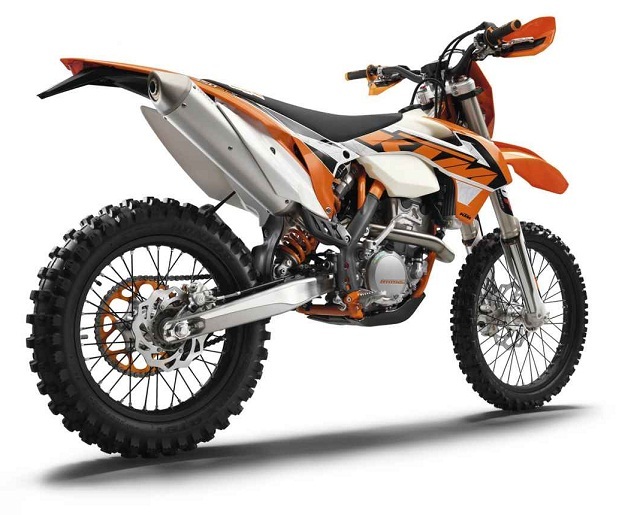 Above this is the WP fork found on the KTM offroad bikes that are PDS no link bikes, it is the traditional WP open chamber design front the past. 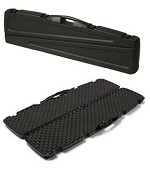 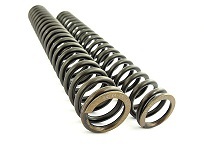 You can Revalve and Respring both Front and Rear WP to better suit them for your needs. 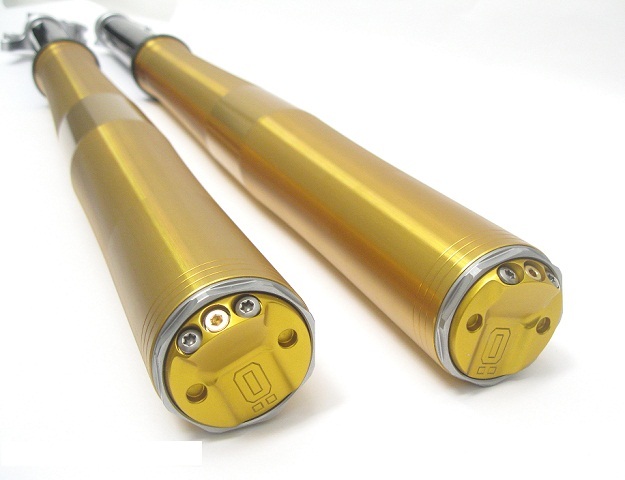 Ohlins has a full Cartridge TTx and Spring Kits to replace everything inside your Wp Fork shells, it is similar to things found in the whole Ohlins 48 RXF fork but you don’t get the cool Ohlin’s Shells and DLC tubes or machined axle lugs. 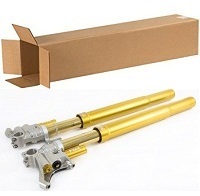 The whole Ohlin’s fork does improve function even over the TTx guts Kit because of the stantion shape and bushing design and a few other things that even make the whole fork option some what better. 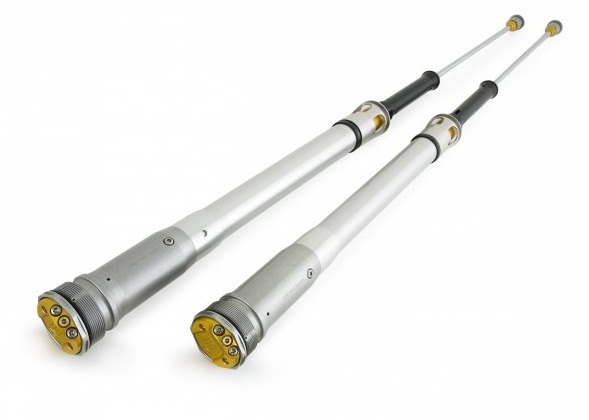 These Struts have a tunable internal pressurized floating Twin piston (Shown in background) and True Twin wall TTx Design features within each strut for ultimate improvement not found with a basic single tube cartridges found on all OEM forks. 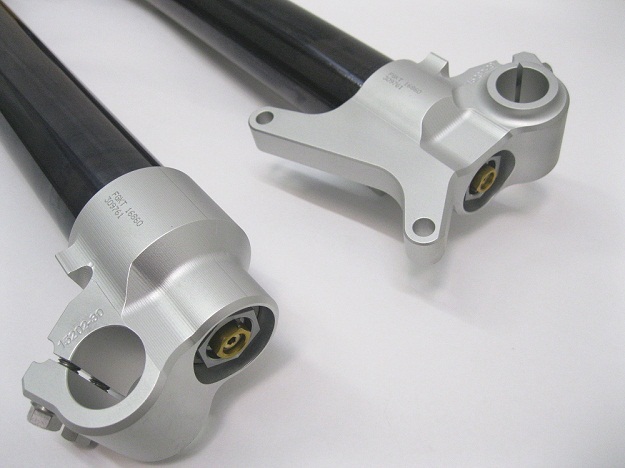 Above these are the 2016 Ohlins 48 RXF Fork, they slip right into stock triple clamps and use the same front axle, wheel , brakes , plastic as KTM. 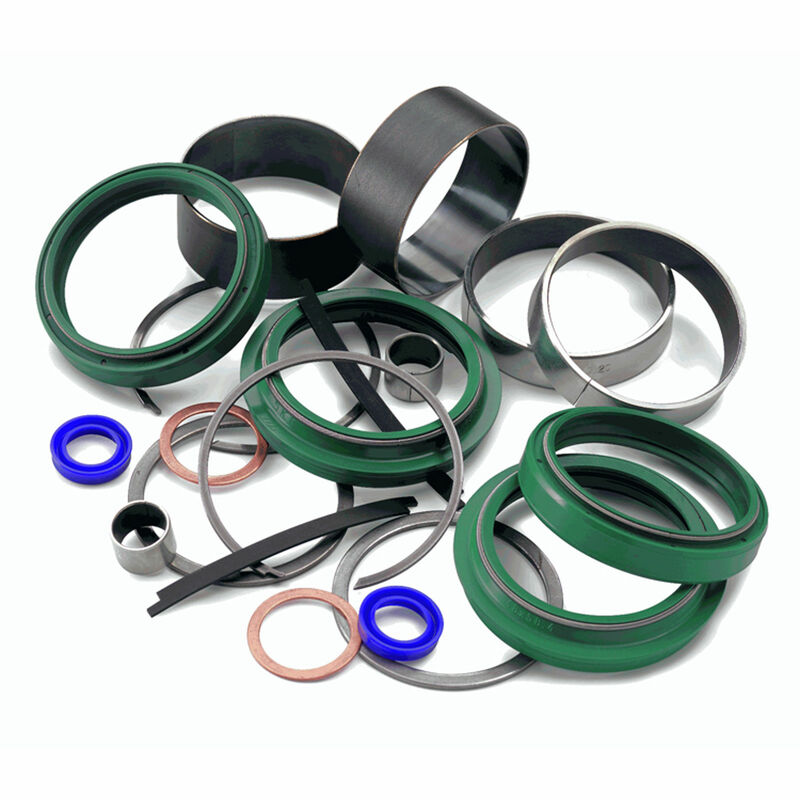 Popular SKF Newest Seals, Wiper Seals and bushings offer less stiction and new design features to improve on the stock stuff, they should be replace often. 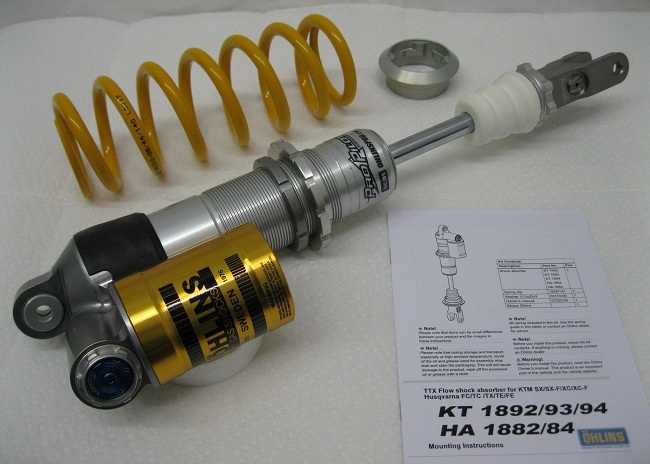 Ohlins Steering Damper 2.1 the Best KTM Damper Available! 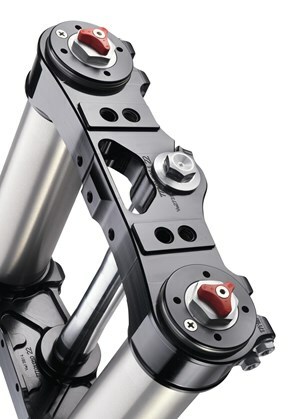 You can keep the damper and purchase other bike mounts for future. 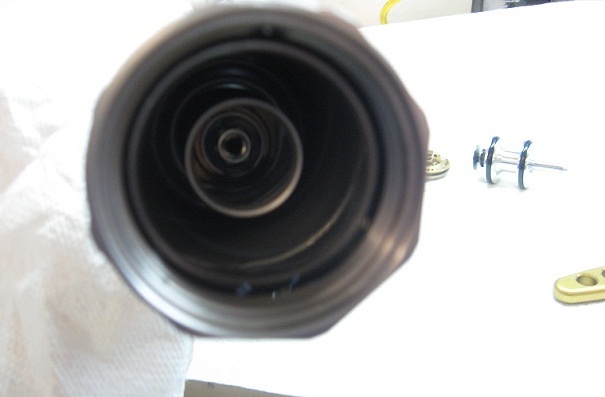 They dampen out from center, then zero back, very cool! 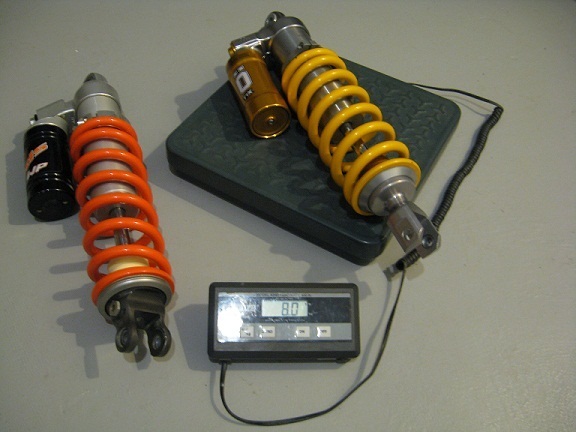 Which is really nice when you have that stuff where you like.